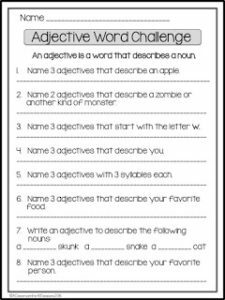 Add some fun to your Parts of Speech Unit with this Adjective Word Challenge! Depending on the students’ levels they can work in pairs or individually. For more of a challenge, see who can come up with the most unique answers. Click on the image below for the free download.